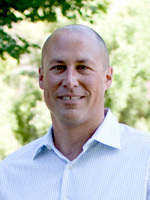 George Hopwood is the Associate Director of Sponsored Projects in the UC Santa Barbara Office of Research. George helps lead a team which assists faculty and professional research staff in their efforts to secure, and ensure proper stewardship of, external funding. George has sixteen years of service at UCSB including twelve years in research administration. He began his UCSB career as the Scheduling Systems Manager in the Office of the Registrar. George has served on the UCSB Staff Assembly Executive Board for thirteen years and is currently a Co-chair of the Board. For many years, George edited the quarterly Staff Assembly newsletter. George served a prior term as Executive Board Co-chair and CUCSA delegate during 2003-2005.